4 Bedroom Detached Cottage For Sale in Clevedon for Offers in excess of £725,000. 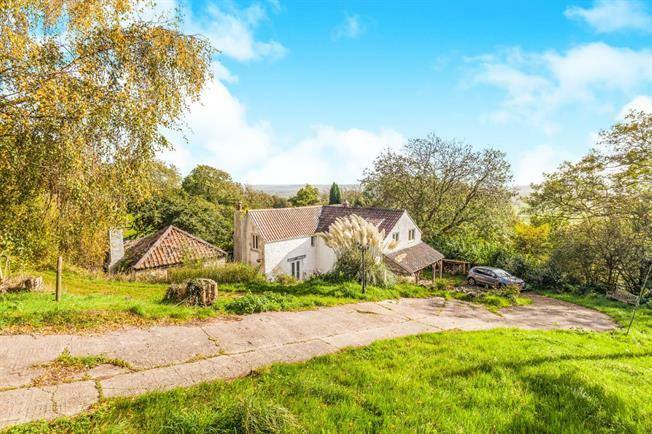 Set in 2.8 acres this truly fantastic detached cottage was built circa 1820. Nestled in the hillside of North Somerset and with panoramic countryside views as far as the eye can see, this property would suit a wide demographic from someone looking to downsize into the country or a growing family looking to upsize with the land for the kids to go off and enjoy. The cottage itself, briefly comprises four double bedrooms, two reception rooms, plenty of original features, fitted kitchen breakfast room, downstairs w/c and a family bathroom with a roll top bath and feature exposed stone wall. To the outside the property has ample parking, double garage, detached office which could easy be used as a guest bedroom.